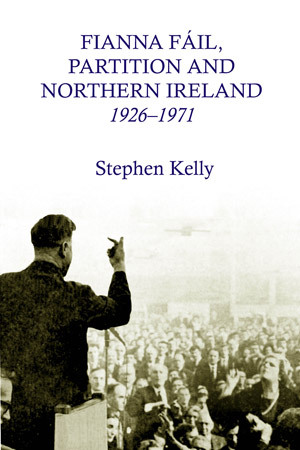 This book traces the reasons why Fianna Fail failed to devise a realistic and long-term Northern Ireland policy from 1926 to 1971, including an examination of Fianna Fail’s attitude to partition and Northern Ireland. When the Troubles broke out in Northern Ireland in the late 1960s, Fianna Fail was hopelessly ill-prepared for the ensuing crisis. Between the emotive years of 1969 to 1971 Fianna Fail was brought face to face with one of its most blatant contradictions: the gap between the party’s habitual pronouncements of its desire for a united Ireland and the reality that the party could offer no practical solutions to deliver this objective. Why had this gap developed? This book answers this question and many more, tracing the historical reasons for why Fianna Fail failed to devise a realistic and long-term Northern Ireland policy from 1926 to 1971. As the violence engulfed Northern Ireland by the late 1960s the book explains why so many within Fianna Fail believed that the use of physical force represented official Irish government policy. It also analyses Fianna Fail’s relationship with Ulster Unionism and northern Nationalism, exposing the party’s long held apathy for both political movements. Significantly, the book is an examination of Fianna Fail’s attitude to partition and Northern Ireland from cabinet level to the party’s rank and file. First book to trace why Fianna Fáil was hopelessly ill-prepared for the outbreak of the Troubles in the late 1960s. Ground-breaking examination of Fianna Fáil’s attitude to partition and Northern Ireland from cabinet level to grass-roots. Research is based almost entirely on archival material and reported evidence, including oral interviews. Stephen Kelly is a Post-Doctoral Teaching Fellow in the Department of Politics, History, Media and Communications, Liverpool Hope University. His teaching and research interests include modern Irish history, 20th century Anglo-Irish relations, Northern Ireland society and politics, and the Blessed John Henry Newman. He is the author of A Conservative at Heart? The Political and Social Thought of John Henry Newman (2012).